You must read our terms and conditions when you book a Sundowner holiday. Do contact us on 01273 923100 if anything is unclear. The following Terms and Conditions apply to all holidays booked with Sundowner Holidays Limited trading as Sundowner (“we”, “us” or “our”). Together they form the basis of your contract with us. Please read them carefully as they set out our respective obligations. In these Terms and Conditions “you” and “your” means all persons named in the booking including anyone who is added or substituted at a later date. a) To book a holiday, please call us, email us or use our website to request a quote. When you are happy with the quote, please call us and we can process your booking and deposit over the phone. The person named on the quote (“party leader”) must be authorised to make the booking on the basis of these Terms and Conditions by all persons named on the booking and by their parent or guardian for all party members who are under 18 when the booking is made. By paying the deposit, the party leader accepts these terms and conditions on behalf all members of the party and confirms that he/she is so authorised to do so by all other members of the party. The party leader is responsible for all payments due to us and must be at least 18 when the booking is made. b) The nature of the holidays we arrange means we are often not in a position to confirm every requested element at the time of booking. Once we reasonably expect the key elements of your holiday to be available, we will process your payment and a contract between us will come into existence, as set out in (1c) below. If for any reason we do not expect the key elements of your holiday to be available we will not process your payment and will advise you accordingly. Processing your payment is not a guarantee or representation that your requested arrangements will be provided or confirmed. Obtaining confirmation of all elements from suppliers may take two weeks or more. In some cases it may not be possible to confirm all elements as requested and changes may need to be made. Occasionally, we have to cancel a booking prior to issue of the confirmation invoice, where we are unable to confirm all key elements and/or offer suitable alternative arrangements. If we have to cancel your holiday prior to confirmation or the arrangements we are able to confirm when we issue a confirmation invoice are significantly different to those requested and any alternative arrangements we offer you are not acceptable, we will refund all monies you have paid us. However, for clarity, you are not entitled to cancel prior to confirmation without paying our normal cancellation charges. As bookings can only be accepted on the basis set out above, no compensation will be payable where your booking is cancelled or a significant change made by us (which you accept) in accordance with this clause. If a confirmation invoice cannot be issued we will seek confirmation of all requested elements of your booking from the suppliers concerned as set out above. We will issue a confirmation invoice once we are in a position to confirm the available arrangements. The arrangements shown on your final itinerary are those that we are contracting to provide. The confirmation invoice will be sent to the party leader or your travel agent. Please check this invoice carefully as soon as you receive it. Contact us immediately if any information that appears on the confirmation or your final itinerary appears to be incorrect or incomplete as it may not be possible to make changes later. You must ensure that the name of each party member given to us at the time of booking matches the name exactly as it appears on that party member’s passport, used for travel on this booking. We regret we cannot accept any liability if we are not notified of any inaccuracies (for which we are responsible) in any document within ten days of our sending it out. If you have any special request, you must advise us in writing at the time of booking. We will try and arrange for special requests to be met but we regret we cannot guarantee any request will be met unless we have specifically confirmed this. Confirmation that a special request has been noted or passed on to the supplier or the inclusion of your special request on your confirmation invoice or any other documentation is not confirmation that the request will be met. We will not be liable if any special request is not met. If you or any member of your party has any medical problem or disability which may affect your holiday, please tell us before we confirm your booking so that we can advise as to the suitability of the chosen arrangements. In any event, you must give us full details in writing at the time of booking. Tickets and other documents will normally be forwarded 7-14 days before date of departure. d) Where you provide us with an e-mail address, we will communicate with you by e-mail. We will e-mail your confirmation invoice and any other documentation which can be sent in this way. You must therefore ensure you check your e-mails on a regular basis. You should check and print off copies of your confirmation invoice and final itinerary and other documentation on receipt. We may contact you by telephone and/or post if we cannot, for whatever reason, contact you by e-mail. Certain documents may need to be sent to you by post. References in these Terms and Conditions to “send” and “in writing” include communication by e-mail. e) You may contact us by e-mail for any of the reasons mentioned in these Terms and Conditions (for example, to request an alteration) providing you do so to the e-mail address of your Travel Consultant. a) A deposit as specified on your quote, or as advised by your travel consultant, must be paid at the time of booking. For certain arrangements the suppliers concerned require full payment at the time of booking. If this applies to your booking we shall advise you of this prior to booking or may request an additional deposit payment after booking. For the purposes of clause 4 such payments will also be classed as deposits. Occasionally, after you have booked, a supplier connected to your booking may ask us to pay them earlier than normal. This often happens in periods in peak demand, or when an earlier payment can avoid an increase in park fees, or other similar increases to a suppliers costs. If this happens, we reserve the right to ask you to make payment for the requested amount within a stipulated period, and prior to your balance due date. Any such early payment will be non refundable. The balance of the holiday cost must be received by us not less than 2 calendar months prior to departure. Bookings made within 2 months of departure require full payment at the time of confirmation. The balance payment date will be shown on the confirmation invoice. If we do not receive all payments due (including any surcharge where applicable) in full and on time, we are entitled to assume that you wish to cancel your booking. In this case the cancellation charges set out in clause 4 will apply. In such cases a written notice of cancellation and a cancellation invoice would be sent to you. Payments can be made by bank transfer, credit or debit card. b) All monies paid to one of our authorised travel agents for a holiday with us that includes a flight (or flights) will be held on our behalf until they are paid to us or refunded to you. All monies you pay to one of our authorised travel agents for a holiday with us, that does not include a flight (or flights), will be held by the agent on your behalf until we issue our confirmation invoice. After that point, your agent will hold the monies on our behalf. Should you wish to make any alterations to your confirmed holiday the party leader must notify us as soon as possible in writing. Whilst we will endeavour to assist we cannot guarantee that any request will be met. If we can make the requested change you will be provided with a quote detailing any additional costs incurred by ourselves and any costs or charges incurred or imposed by any of our suppliers and our amendment fees of £50 per person. If the amendment results in the price of your holiday reducing by more than 10%, this will be deemed a part cancellation and cancellation charges, as defined in clause 4 below, will apply to the cancelled portion of the holiday. Please note that some accommodation is priced according to the number of people in the booking. If you wish to change the size of your party, the per person cost of the holiday for other members may increase significantly and that some airline tickets (e.g. advance purchase and net fare tickets) cannot be changed once booked, without incurring considerable cost. PLEASE NOTE: Most flight tickets cannot be changed without payment of cancellation charges and/or the cost of a replacement ticket. It is important that correct names are provided at the time of booking and it is your responsibility to check names on first receipt of your confirmation invoice. If you decide to alter your travel arrangements whilst abroad this is your own responsibility and Sundowner or the Company’s Agents are not responsible for any extras or difficulties that may arise with onward travel as a result of such alterations. We regret that no credit or refund is possible for any unused services provided in the cost of your holiday. (i) all suppliers and third parties accept the transfer of names or are able to re-book. (ii) you sign an authorisation to transfer the holiday into another name. Where a transfer to a person of your choice can be made, all costs and charges incurred by us and/or incurred or imposed by any of our suppliers as a result together with an amendment fee of £50 must be paid. Any overdue balance payment must also be received. Occasionally we have to make changes and correct errors in our booking information both before and after bookings have been confirmed. We may also have to cancel confirmed bookings due to factors outside our control, mistakes, or if the minimum number of bookings required for a particular holiday have not been received. Whilst we always endeavour to avoid changes and cancellations, we must reserve the right to do so. We will notify you (or your travel agent) of cancellation at the earliest opportunity. If we have to make a significant change we will inform you (or your travel agent) as soon as reasonably possible. If there is time to do so before departure we will offer you the choice of one of the following options: (i) accepting the changes (for significant changes) or (ii) purchasing an alternative holiday from us, of a similar standard to that originally booked or (iii) cancelling or accepting the cancellation and receiving a full refund of all monies due. If the alternative holiday is cheaper than the original one, we will refund the price difference, and if it is more expensive you will be charged for the difference. If we have to make a significant change or cancel we will, where compensation is appropriate, pay you reasonable compensation, with a minimum of £100 but no more than £500 per booking, depending on the circumstances and when the significant change or cancellation is notified to you, subject to the following exceptions. Compensation will not be payable and no liability beyond offering the above mentioned choices can be accepted where: (a) we are forced to make a change or cancel as a result of unusual and unforeseeable circumstances beyond our control, the consequences of which we could not have avoided even with all due care or (b) where your booking is cancelled or a significant change made (which you accept) prior to or at the time of confirmation, as set out in clause 1b. No compensation will be payable and the above options will not be available if we cancel as a result of your failure to comply with any requirement of these Terms and Conditions entitling us to cancel (such as paying on time) or where a change is a minor one. A change of flight time of less than 12 hours, airline (except as specified in clause 16 “Flights”), type of aircraft (if advised) or destination airport will all be treated as minor changes. All prices published in our brochures, marketing material and our website are for guidance only and are based on exchange rates in effect on the publication date. Although every effort is taken to ensure prices are accurate at the time of publication we cannot guarantee these prices. Please note, changes and errors occasionally occur. You must check the price of your chosen holiday at the time of booking. We reserve the right to alter or correct errors in any quoted or published prices at any time prior to a contract between us coming into existence. Once the price of your chosen holiday has been confirmed on your confirmation invoice then subject to the correction of errors, we will only increase or decrease the price in the following circumstances. Price increases or decreases after booking will be passed on by way of a surcharge or refund. A surcharge or refund (as applicable) will be payable, subject to the conditions set out in this clause, in the event of any change in our transportation costs or in dues, taxes or fees payable for services such as fuel surcharges, landing taxes or embarkation or disembarkation fees at ports or airports or in the exchange rates which have been used to calculate the cost of your holiday. If any surcharge is greater than 10% of the cost of your holiday (excluding insurance premiums and any amendment or late booking fees), you will be entitled to cancel your booking and receive a full refund of all monies you have paid to us (except for any amendment or late booking fees) or alternatively purchase another holiday from us as referred to in clause 5 “Changes and Cancellations by us”. You will have a specified number of days from the issue date printed on the surcharge invoice to tell us if you want to choose option (ii) or (iii) as set out in clause 4. If you do not tell us that you wish to choose either of these options within this period of time, we are entitled to assume that you do not wish to do so and will pay the surcharge. Any surcharge must be paid with the balance of the cost of the holiday or within a specified number of days from of the issue date printed on the surcharge invoice, whichever is the later. Please note that arrangements are not always purchased in local currency and some apparent changes have no impact on the price of your holiday due to contractual and other protection in place. Where a refund is due, we will pay you the full amount of the decrease in our costs. In accordance with Air Navigation Orders, an infant must be under 2 years of age on the date of their return flight to qualify for infant status. If it becomes a legal requirement for infants to have separate airline seats, we will have to pass the cost of this onto any guest travelling with an infant. It is a condition of booking that you are covered by adequate liability, medical and holiday cancellation insurance from when the contract between us comes into existence. When obtaining travel insurance you must ensure that the insurer is aware of the type and destination of travel and any activities which you plan to undertake that maybe considered high risk such as skiing, scuba diving, white water rafting, travel by light aircraft, paragliding, kite surfing, wind surfing, safaris, mountain trekking and so on. Please ensure that you are fully covered, in particular with regard to the maximum cancellation amount. Sundowner will not be held responsible for any expenses, loss or damage you incur as a result of your failure to comply with this clause or the requirements of your travel insurance policy. Please read your policy details carefully and take them with you on holiday. It is your responsibility to ensure that the insurance cover you purchase is suitable and adequate for your particular needs. It is the party leader’s responsibility to ensure that all members of the party are in possession of all necessary travel and health documents, such as passports, visas, health certificates, international driving licences and other travel documents, before departure. You must pay all costs incurred in obtaining such documentation. We regret we cannot accept any liability if you are refused entry onto any transport or into any country due to failure on your part to carry all required documentation. If failure to have any necessary travel or other documents results in fines, surcharges or other financial penalty being imposed on us, you will be responsible for reimbursing us accordingly. Independent suppliers provide most accommodation, services and transport. All bookings are subject to the third party conditions and regulations of these carriers/ transport proprietors/accommodation providers and service suppliers. These conditions may limit or exclude liability to you and may be subject to provisions of international. Many third party suppliers require a waiver of responsibility to be signed, which may limit some of your rights vis a vis those suppliers. Notwithstanding any other provisions of this clause, the Company’s liability and/or the amount of compensation payable by the Company is limited in accordance with relevant international conventions, as amended, namely the Montreal Convention, the Warsaw Convention, the Geneva Convention, the Berne Convention, the Athens convention, the Paris Convention and EC Reg 261/2004. All reasonable care has been taken to ensure that the descriptions, facts or opinions on our website, in our brochures and itineraries are accurate at the time of printing. Opinions expressed are personal to the authors and photographs only relate to a specific destination when specifically captioned. The layout and furnishing of rooms shown in photographs may change. During the lifespan of our website and brochures, advertised facilities, services, schedules, and laws and suppliers’ programmes may also change. Errors may also occasionally occur. You must therefore ensure you check all details of your chosen holiday (including the price) with your travel agent or us at the time of booking. We cannot accept responsibility for any descriptions, facts or opinions published in any third party or suppliers’ brochures or promotional material. b) The type of travel, which we offer, requires flexibility and must allow for alternatives. The outline itinerary as given for each holiday must therefore be taken as an indication of what each trip may accomplish, and not as a contractual obligation on the part of Sundowner. It is understood that the route schedules, itineraries, amenities and mode of transport may be subject to alteration without prior notice due to local circumstances or events which may include sickness, mechanical breakdown, flight cancellations, strikes, events emanating from political disputes entry or border difficulties, climate and other unpredictable or unforeseeable circumstances. a) It is a requirement of some airlines that all onward and return flights are reconfirmed at least 72 hours before departure. Therefore it is essential that you contact the appropriate airline or our representatives on arrival to reconfirm your flights. Remember to check current timings as they are subject to change and we recommend that, where possible, clients check in on-line 24 hours prior to departure. e) We are not always in a position at the time of booking to confirm the flight timings that will be used in connection with your flight. The flight timings shown in our brochure, on our website and/or detailed on your confirmation invoice are for guidance only and are subject to alteration and confirmation. Flight timings are outside our control. They are set by airlines and are subject to various factors including air traffic control restrictions, weather conditions, potential technical problems and the ability of passengers to check in on time. Specific instructions relating to departure and travel arrangements will be sent with your air or other travel tickets approximately 7-14 days before departure. You must accordingly check your tickets very carefully immediately on receipt to ensure you have the correct flight times. It is possible that flight times may be changed even after tickets have been despatched – we will contact you as soon as possible if this occurs. Please note also your responsibility under 16(a) above. Any change in the identity of the carrier, flight timings, and/or aircraft type (if advised) will not entitle you to cancel or change to other arrangements without paying our normal charges except where specified in these conditions. We cannot accept responsibility if you miss your flight or transfer due to late check in, check in queues, delays in connecting transport or due to delays introduced by security procedures. If your flight is cancelled or delayed, your flight ticket is downgraded or boarding is denied by your airline in circumstances which would entitle you to claim compensation or any other payment from the airline under EC Regulation No 261/2004 – the Denied Boarding Regulations 2004, you must pursue the airline for the compensation or other payment due to you. All sums you receive or are entitled to receive from the airline concerned by virtue of these Regulations represent the full amount of your entitlement to compensation or any other payment arising from such cancellation, delay, downgrading or denied boarding. This includes any disappointment, distress, inconvenience or effect on any other arrangements. The fact a delay may entitle you to cancel your flight does not automatically entitle you to cancel any other arrangements even where those arrangements have been made in conjunction with your flight. We have no liability to make any payment to you in relation to the Denied Boarding Regulations or in respect of any flight cancellation or delay, downgrading of any flight ticket or denial of any boarding as the full amount of your entitlement to any compensation or other payment (as dealt with above) is covered by the airline’s obligations under the Denied Boarding Regulations. In the event that you have cause for complaint whilst on holiday you must immediately bring it to the attention of our local representative (or if none to a Sundowner UK office, in which case we will reimburse reasonable communications costs) and to the management of the accommodation or relevant supplier, obtaining written confirmation from them of the complaint so that we will have the opportunity to correct the matter during the holiday. You should also call the Sundowner UK office on their main phone number or emergency number. If you fail to do so you deprive us and our suppliers of the chance to investigate your complaint and to do our best to rectify it. If we are unable to resolve matters whilst you are on holiday and you remain dissatisfied you must write to us within 28 days of your return with full details. Please quote your booking reference on all correspondence. If you fail to follow this simple complaints procedure, your right to claim any compensation may be affected or even lost as a result. We hold an Air Travel Organiser’s Licence issued by the Civil Aviation Authority (ATOL number 11116). 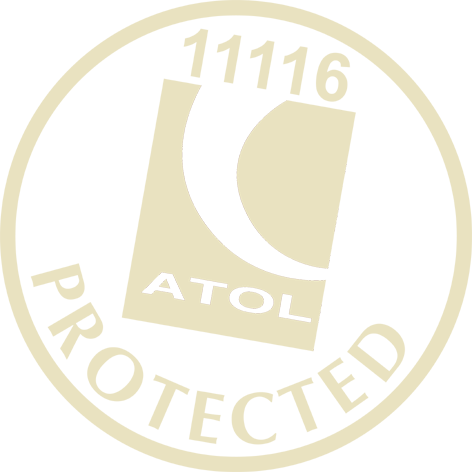 When you buy an ATOL protected air inclusive holiday or flight, as defined in clause 20a, from us you will receive a confirmation invoice from us (or via our authorised agent through which you booked) confirming your arrangements and your protection under our ATOL. In the unlikely event of our insolvency the CAA will ensure that you are not left stranded abroad and will arrange to refund any money you have paid to us for an advance booking. Your personal information and that of your party is important to us. We will always treat it with the respect it deserves and will never pass it to any third parties, except those that need this information in the course of providing the holiday services you have booked. We may contact you from time to time with holiday information and offers that we think might be of interest. Should you wish to stop hearing from us, by email or by any other means, please email us at holidays@sundownerholidays.co.uk , detailing how you wish us to use and store your personal information. We are now required to collect Advance Passenger Information (API) for passengers prior to travel to many destinations. This information is required for immigration control and to aid aviation safety and security, and as such we require full passport details, passenger names, dates of birth and nationalities to pass onto the relevant airlines. In addition please note that we are required to pass on your mobile and email details to many airlines in case they need to contact you prior to travel. This information will not be retained by the airlines after your travel has been completed and will be used solely in the course of conducting your travel arrangements. Sundowner will not be held responsible if you fail to provide or comply with relevant API requirements. a) If this advice is received after you have booked, but more than 3 months before your departure date, we reserve the right not to inform you of this. This is because many of our holidays are booked a long time in advance and the FCO travel guidance may change frequently between booking date and travel date. It is therefore your responsibility to keep up to date with FCO advice. b) If this advice is made, or is in place, within 3 months of your departure date, we will immediately talk to you to make changes to your holiday. In either of the above two scenarios, please note that in the event of the FCO travel guidance advising against travel to a specific area that your holiday is due to include, and we have paid our suppliers for those affected components of the holiday (including flights to those areas), we will endeavour to obtain a refund from those suppliers. If we are not able to get refunds, we will not be able to refund any of these costs to you, as they are committed costs that we have made on your behalf at a time when there was no guidance against travel to that area. In this case our cancellation fees as outlined in these booking conditions will apply. It is your responsibility to have Travel Insurance that provides cover for this specific eventuality.